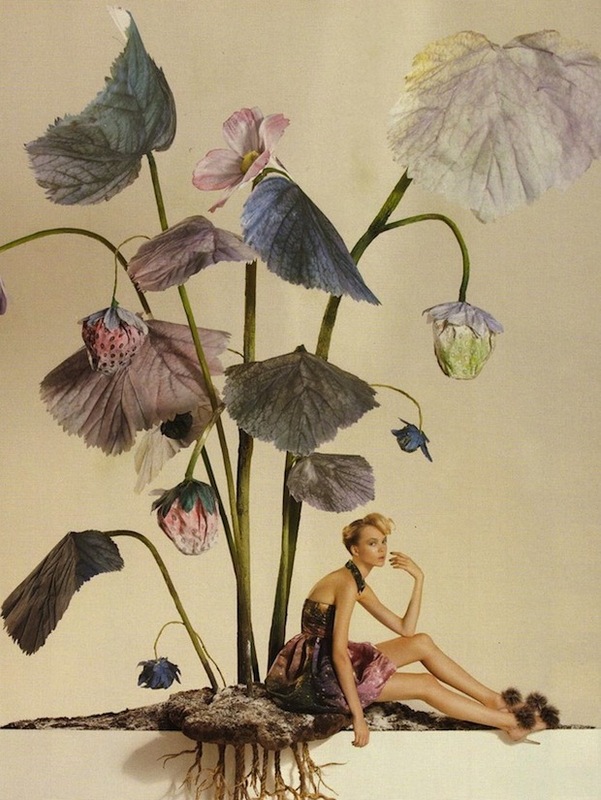 Absolutely adore this whimsical editorial that's in the December 2010 issue of Vogue UK. We see model Siri Tollerod in a unique setting, styled by Kate Phelan and shot by photographer Tim Gutt. I particularly love the first picture, it reminds me a little of the Flower Fairies! This whole December issue is perfect btw, a must-have!